Myss Lafunky's Blog: No Negativity! How's the new month going? I was challenged to undertake a 40-day challenge on thinking positively, speaking positive about every situation and speaking positive about others. The aim is to implement the scripture in the book of Philippians 4:8 which says that, Christians are to think on positive, pure, honest, praise worthy, lovely and good things. Also the bible says in James 3:2 that whoever is perfect in his word is a perfect person. Has it been easy? No! Nevertheless, I have noticed that as the challenge progresses, I am developing strategies on how to control my thought and how to control what comes out of my mouth. I have recognised the importance of consciously CHANGING one's thought to think positive of situations or someone. 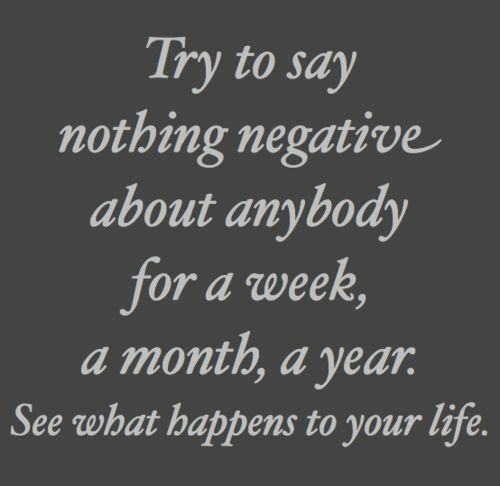 Doing this has continued to help me to instantly delete negative thoughts and replacing them with positive ones. 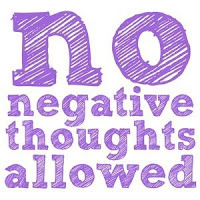 Also, when I had thought negatively and vocalised negative thoughts, I immediately recognised it and I instantly made amendments. 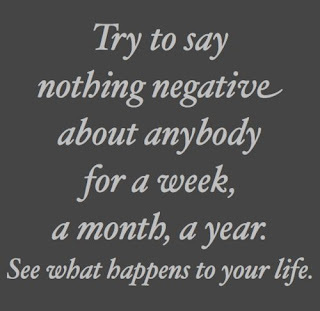 I can't imagine my God having negative thoughts toward or speaking negative of me. Can you? If I am to be Christ-like, it is therefore crucial for me to be conscious of how I think and what I say about anyone irrespective of who they are, their age, how they relate to me, what they say about me, among others. Rejoice with others. Make it a duty to celebrate with others, especially when you know it's their day of celebration, be creative about how you do it. Make it a duty to mourn with those who mourn - Romans 12:15. Philippians 2:4 "Let each of you look not only to his or her own interests, but also to the interests of others." Always choose forgiveness and learn to disregard offences. How are you doing with the above? I also challenge you to consider your thought and words this year. Are they positive?